Julie McCarthy and her No. 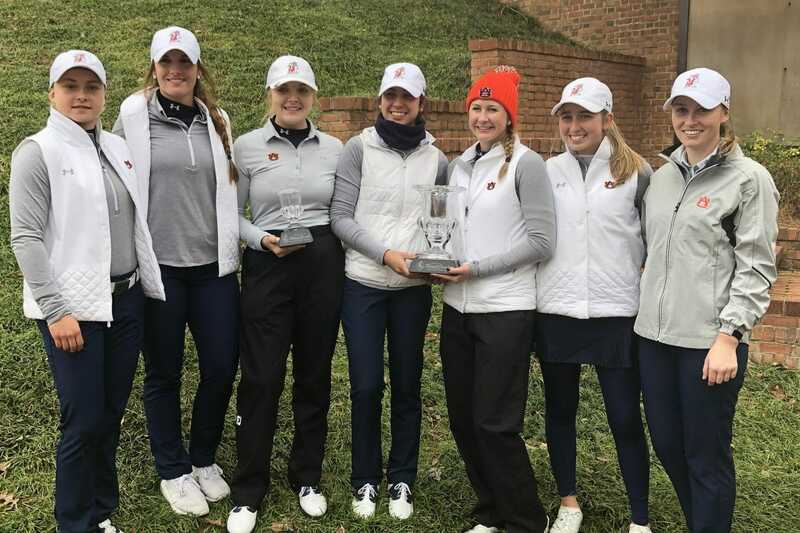 11 Auburn women’s golf team have started the 2019 spring season the same way they finished the Autumn – by winning another trophy. The Forest Little golfer brought that reputation with her to Alabama and quickly settled into her new surroundings to established herself as one of Auburn’s key players in her sophomore year. And fresh off a victory at the Battle at the Beach in November, her Tigers team finished ahead of Alabama, Mississippi State and Ole Miss on Sunday to win the Shootout at Shoal Creek, a one-day quad match at the Shoal Creek Golf Course just outside Birmingham. For her part, the number 33 ranked Dubliner made four birdies in an even par effort to claim a share of 5th place in the individual trophy, with her freshman teammate, Brooke Samson taking the individual championship. Auburn shot a 3-under 285 on the par-72 course. Four of the five golfers in the line-up finished at even par or better. “The Shootout at Shoal Creek was immensely successful for the Tigers,” Auburn head coach Melissa Luellen said. “The weather was a little chilly, but the golf course is in great condition. I thought our practice round was really good yesterday, and our preparation – everybody seemed confident and ready to go. Lake Oconee Collegiate Championship in Georgia on Saturday and Sunday. T15. Kayley Marschke — 76 (+4), ind. 23. Anika Bolcíková — 87 (+15), ind.